We’ve handpicked some of our favourite online pokies of 2015 so far, which you’ll find for free play in demo mode or for real money bets at our recommended online casinos. 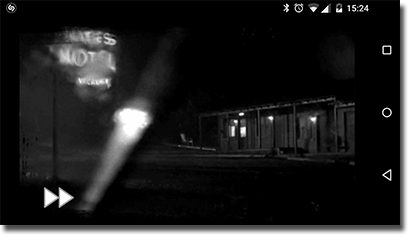 From the darkly ominous to the hilariously quirky, 2015 has you covered for all your online pokies needs. 2015 has been a huge year for online pokies and we’re only half way through. Tougher competition, advancing gaming technology and ever-improving animation means online casino punters are completely spoiled for choice when it comes to choosing between some of the most innovative games available anywhere on the Web. With crisp graphics, engaging special features and the same level of animation you’d expect when forking over $20 at a cinema, there’s never been a better time to make the switch to gambling online and enjoying the full range of excellent gaming options. Mariachi bands, cactuses and exploding piñatas, Spiñata Grande sure brings the colourful happiness and chaos of Mexico to life on screen. If you like your games bright, engaging and a little nuts, you’ll find it hard to drag yourself away from this NetEnt instant classic. This game is a nonstop party that’ll make you never want to step foot into a dreary pokies lounge again, and it marks the growing trend and popularity of new pokies releases with extra personality and fun embedded within colourful and exciting new themes. 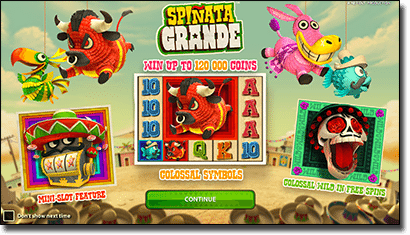 If whacky animation and fun design isn’t your thing, Spiñata Grande is still worth a try for its innovative features, including free spins and a mini-slot bonus game. Olé! Pinocchio is one of our favourite new additions to BetSoft’s Slots3 collection, a range of 3D online pokies that just keeps getting better. Like all of BetSoft’s 3D titles, the level of detail that’s gone into Pinocchio is truly awe inspiring, where not just the symbols are incredible but every nook and cranny of the backdrop is complete with meticulous details. There are all kinds of exciting things going on in this game, including three different levels (the workshop, the classroom and the stage) and a Pinocchio character that changes back and forth from wooden boy mode to real boy mode. Whether you’re a fan of the fairy tale or not, BetSoft’s Pinocchio will blow you away. Castle Builder is sure to go down in history as the first game of its kind. Microgaming went to extraordinary effort here to create a game that is truly unique and unlike anything else currently available in the online pokies world. While the graphics and animation are fantastic, it’s the innovative game format that makes Castle Builder so noteworthy. The player assumes the role of the handsome castle builder, making his way across different enchanted lands and reaping rewards every time he constructs certain castles and objects for the princesses before moving on to the next world to start again. 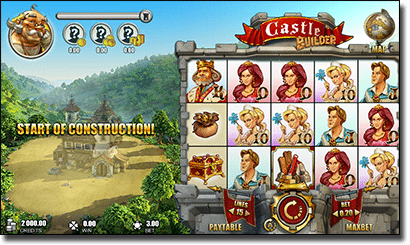 Castle Builder is a standard pokies game but with a super fun twist that really adds value to the player experience. NetEnt’s Tower Quest is a fantasy themed pokies game that takes its inspiration from the steam punk genre, a combination of Victorian era industrial elements mixed with modern day technology. The game follows a handsome hipster gentleman on his quest to save his beloved princess from the evil dragon, climbing his way up the giant steam tower in order to rescue her. 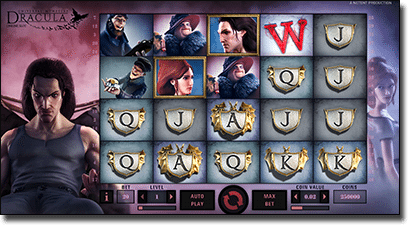 Upon its release this game caused big waves in the online gaming industry as it uses a brand new feature where along with the regular slot format, the steampunk man makes his way up higher levels in order to trigger the free spins bonus feature. Not only innovative, this feature brings the potential for some colossal wins. Dracula was one of the most anticipated pokies releases of 2015 and it certainly did not disappoint. This game flawlessly pulled off all the things that the NetEnt and Universal Studios collaboration has taught us to expect, resulting in a stunningly animated, alluring yet totally eerie online slot game. The intro itself gets those suspense levels rising, while the ominous Dracula character crouching on the side of the reels keeps you on the edge of your seat after each spin. Dracula is genuinely creepy but totally awesome and will be a strong contender for slot of the year. Move over Angry Birds, Happy Birds brings online gamers a bold, bright online pokies experience, full of Pixar style 3D animation that’s a delight to play. The screen is lit up with chirpy, colourful creatures from toucans to parrots and has a nice light-hearted vibe that’ll suit pokies fans who like their slot games basic but engaging. Featuring 243 ways to win, two awesome bonus features, stacked wilds and bird characters to die for, Happy Birds proves that iSoftBet is a developer to keep an eye on. If you prefer your slot games with an edge, NextGen Gaming’s new release, Psycho will certainly get the hairs on the back of your neck standing up. Based on the famous Alfred Hitchcock film and set alongside the disturbing Bates Motel, Psycho is sure to please all the horror fans out there, especially those familiar with the cult 1960’s movie. Complete with menacing rain, an eerie silhouetted figure, spine chilling soundtrack and the iconic shower scene, Psycho is more than just the chance to win big, it’s an all-encompassing gaming experience. Try playing it on your mobile smartphone or tablet with the lights turned off and the headphones and volume turned way up – it’s definitely an experience. Mermaids and the deep seas have a majestic quality that’s kept audiences captivated on screen many times, from the Little Mermaid, to Splash, to Finding Nemo and now Microgaming has brought the aqua marine appeal to the gaming world. Ariana is a new release featuring an alluringly beautiful mermaid, set against a soothing backdrop of vividly blue oceanic scenery complete with tranquil soundtrack to soothe and excite. This five reel slot game has stacked wilds, expanding wilds, a free spins bonus game and is also widely available for mobile play. Following in the same vein as Spiñata Grande, NetEnt’s Tornado: Farm Escape is filled with dazzling animation, kooky characters and a fun, light-hearted design. The game is based around a bunch of farmyard animals who see an upcoming tornado as their chance to escape from the bossy farmer, so they take to flying cross the reels with pure joy which is a pleasure to watch while hoping for that magic spin. This five reel pokies game uses wild symbols, with two bonuses rounds; the Storm Bonus and the Tornado Bonus. With a catchy country music tune playing in the background and all kinds of funny sound effects, Tornado: Farm Escape sets the scene perfectly, with never a dull moment. Where can I play the latest online pokies? Our casino table at the top of this page lists all of our recommended online casinos which host the newest 2015 pokies releases we’ve detailed above. All sites have been thoroughly tested by our writers to ensure they’re safe, and the information on their offerings is up-to-date.